Meet one of Shanghai's most happening personalities in the food and drink industry, owner and operator of Egg, co-founder of Social Supply, Camden Hauge. From New York, London and now based here in Shanghai, Camden creates unique and interesting events like Shanghai Supperclub, FEAST, SIP and many more. Her creative side can be seen in her seasonal menu at her brunch spot, Egg, like our favorite treat the mala peanut brownie, a perfect contrast between spice and chocolate sweetness. 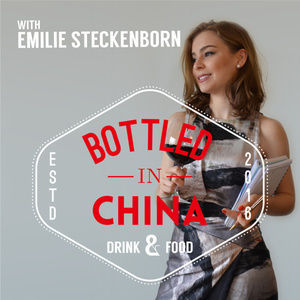 In this podcast we discuss her adventure in the food industry and her culinary inspirations gained from travels to Istanbul and XinJiang in Northern China.